Abu Dhabi: All motorists in Abu Dhabi must stop if they notice a ‘stop signal’ from the school buses otherwise they will be fined Dh1,000 and 10 black points, an Abu Dhabi Police statement said on Thursday. As per rules, when a “stop” sign of a school bus is deployed on a “single” road, the vehicles travelling in both directions must stop. On double roads, vehicles have to stop in the direction of the bus at a distance of not less than five metres between the vehicle and the bus, the Abu Dhabi Police said. 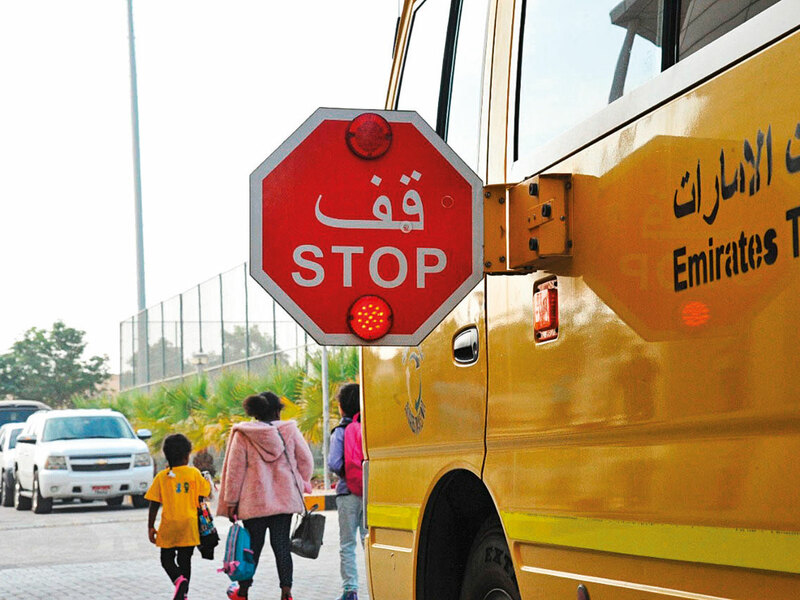 On the other hand, bus drivers who do not open the “stop” sign when students disembark from the bus will be fined Dh500 with six traffic points. The Abu Dhabi Police urged school bus drivers to drive safely, and to stop only at safe places for students to board and get off the bus. The students are also urged to follow the direction of bus supervisors.